This is the time of the semester when things really start to take off. 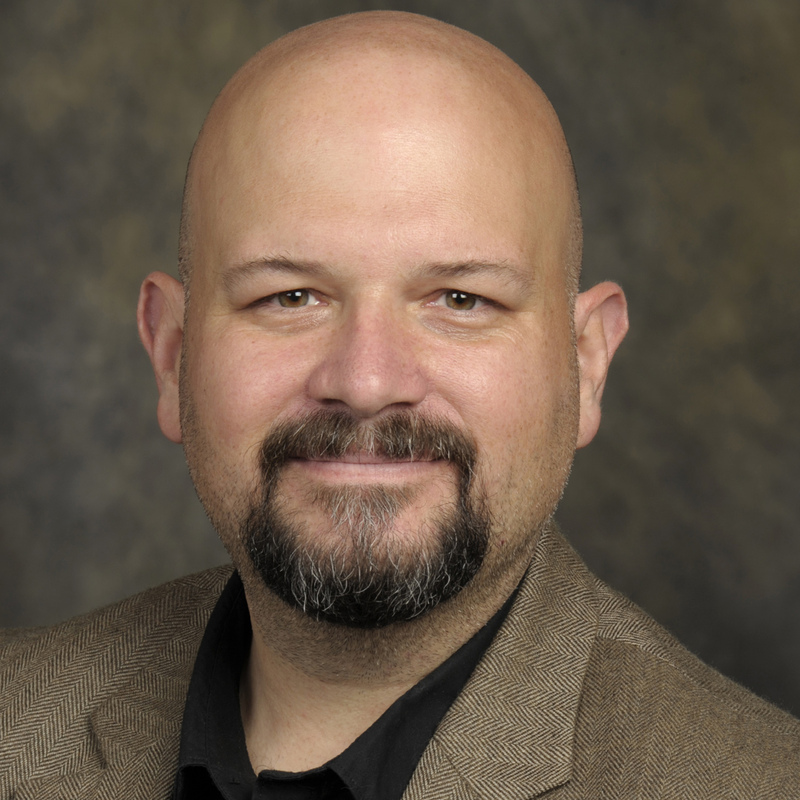 More of my teaching is transitioning to online, like a growing number of faculty, particularly junior faculty. Those of us lucky enough to have teaching positions following the 2008 meltdown have had to adjust to this new reality. If you don’t have to teach online, congrats, but that is the way of the world. I’m not going to debate the benefits and drawbacks of online teaching – they are legion – but I did want to share a new workflow I’ve developed for my online teaching. As such, the subtitle for this post is How to Caption Video Lectures for Online Teaching. So, are you an online instructor who creates video versions of your lectures? Yep, aren’t well all. Wait, you’re not? You don’t teach online classes? Get outta here! This is secret information! Okay, with them gone we can move on. 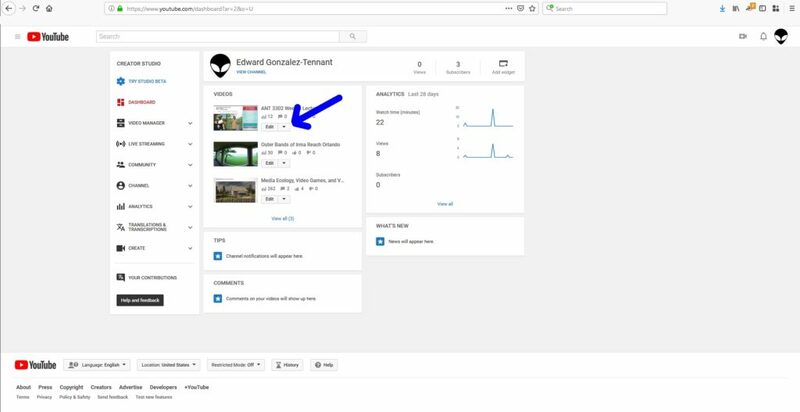 This tutorial assumes that you know how to create videos. I use OBS Studio, which is free! I use the following output settings. They work pretty well to create high-quality videos that still have relatively good quality. Honestly, they have really good quality. 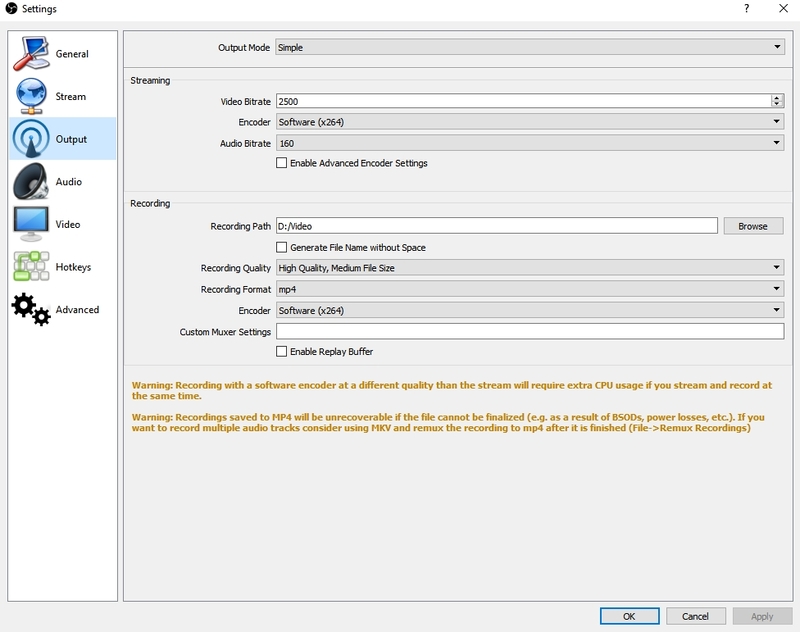 OBS Studio creates high-quality videos. 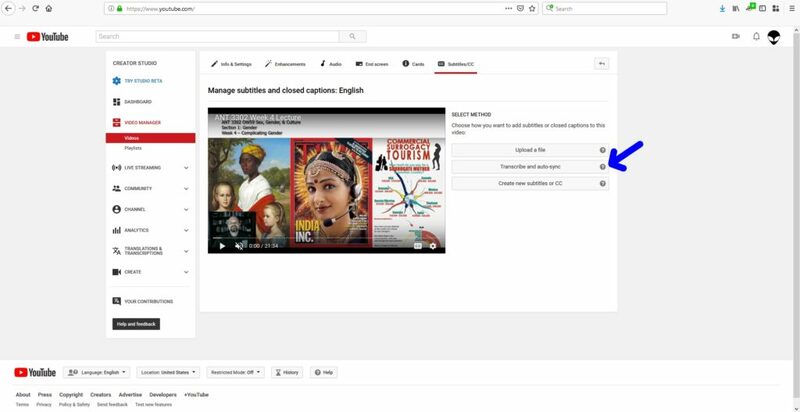 So, you have your video and you need captions/subtitles. Like other tutorials, I’ll be making use of YouTube. 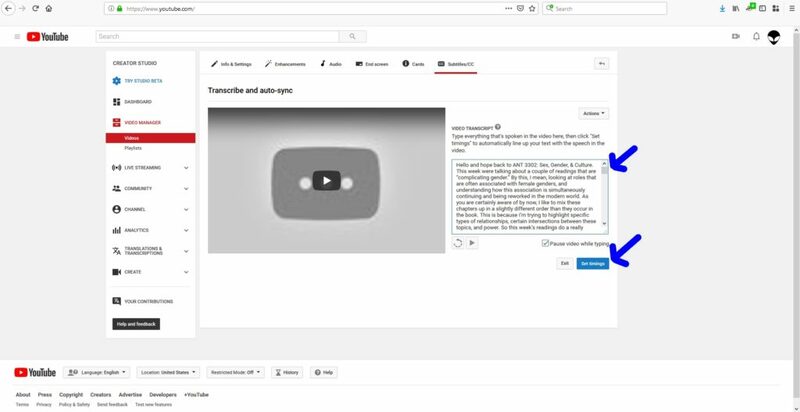 However, unlike other tutorials that instruct you to upload the video and then physically type the transcription in, I’m going to add a little trick. That trick uses voice recognition software. You have two choices with this, use a free option like Google Doc’s voice recognition tool, or a paid tool like Nuance’s Dragon. I use one of these tools to rapidly create a script. 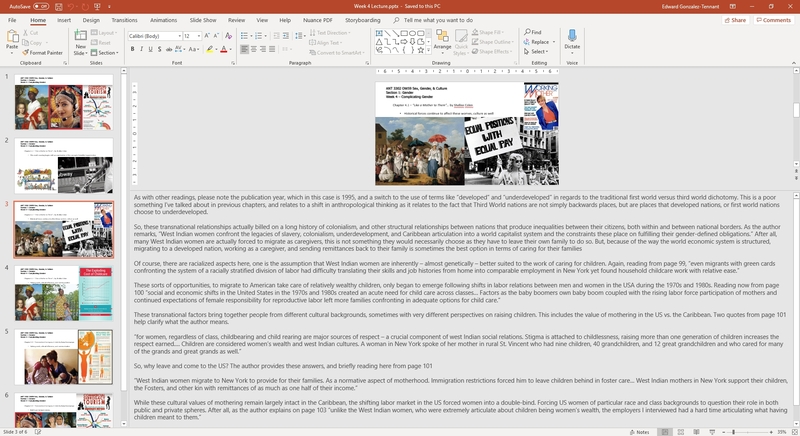 I speak my lecture right into the notes box for my PowerPoint Files. Then, I copy/past this ‘script’ into a single document. Speaking my script into each PowerPoint slide. So, now you have a video file and a script file (save it as a .DOC or .TXT or whatever format you like). 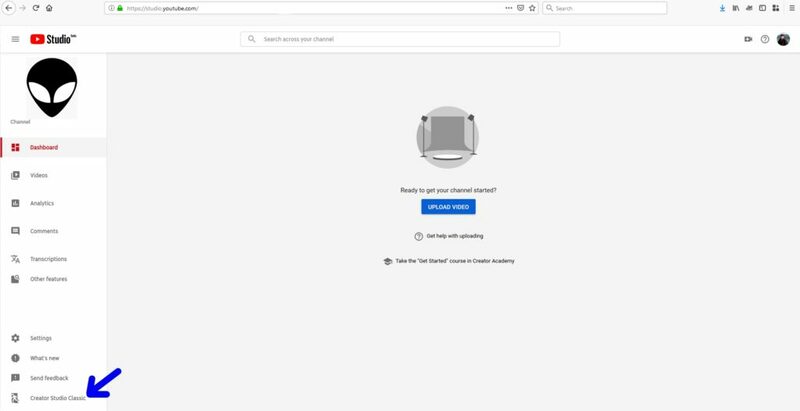 Now, head over to studio.youtube.com – this is YouTube’s new studio for working with videos that you upload (you’ll need a Google account for this, but who doesn’t have one now?). After you upload your video, return to this page and I recommend clicking on the “Creator Studio Classic.” I find this version makes more sense to work with. 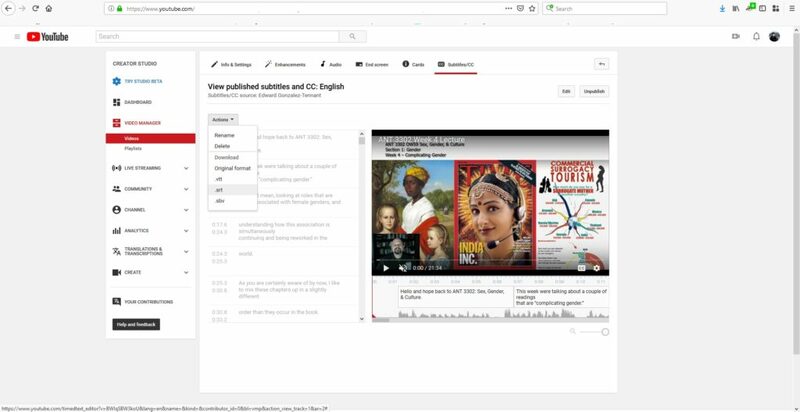 After you go through this tutorial, you can return to this window if you wish (Hint: it’s buried in the Transcriptions area). Click here to access Creator Studio Classic. Click the “Add new subtitles or CC” button. Next, click on the button labeled “Transcribe and auto-sync.” This will take you to another area where you can copy/paste your previously created script. Click the “Transcribe and auto-sync” button. The first button is if you’ve already created a subtitle/caption file. You wouldn’t be here if you’d done that. 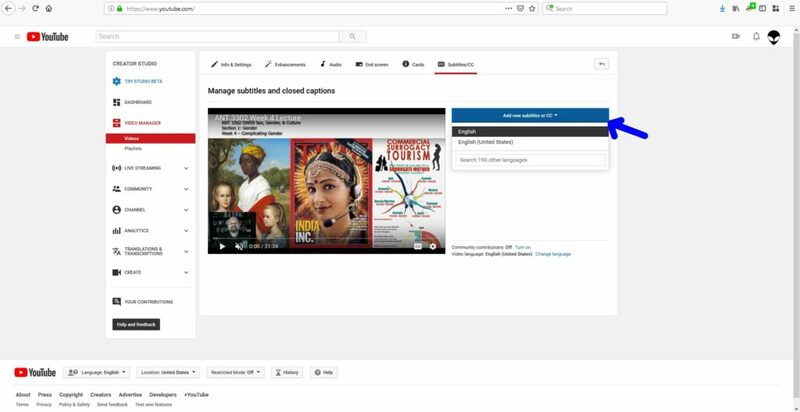 🙂 The other button – the one labeled “Create new subtitles or CC” – is what you would push to manually transcribe your video. If you’ve never done that, thank your lucky stars, that takes FOREVER! Now you wait, wait for Google’s corporate magic to work for you. Eventually, that button will no longer have the “setting timings…” message. When this is the case, click on that button. This final screen will allow you to download the subtitles/CC file. I typically grab the *.srt file because Canvas (our online learning system at UCF) uses this. A nicely formatted #.srt file. Thank you Google/YouTube. You can edit *.srt files like any other text file. That’s it! Now you have a script, video, and subtitle/CC file. Enjoy!